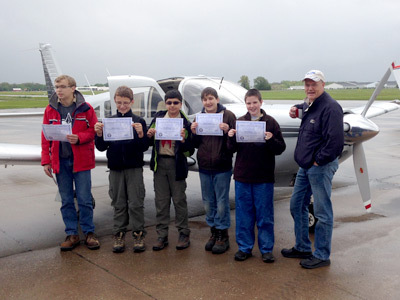 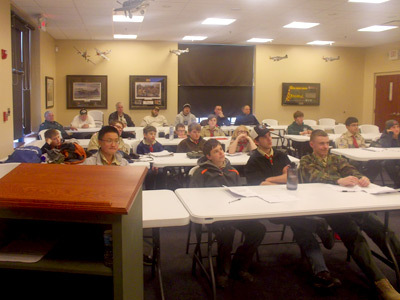 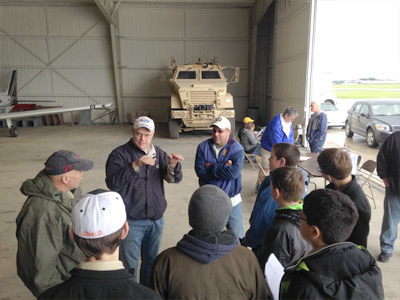 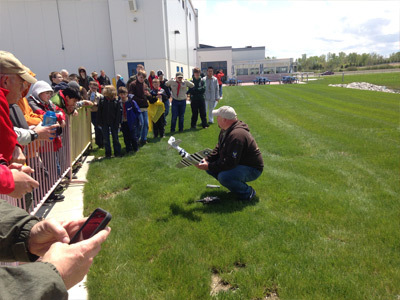 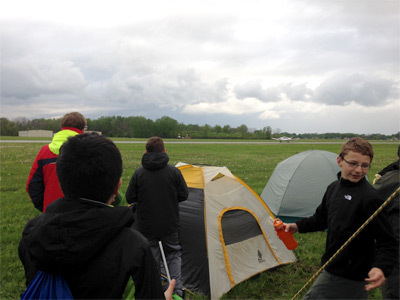 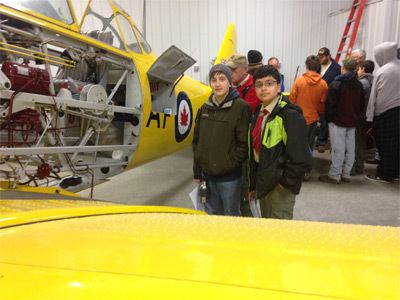 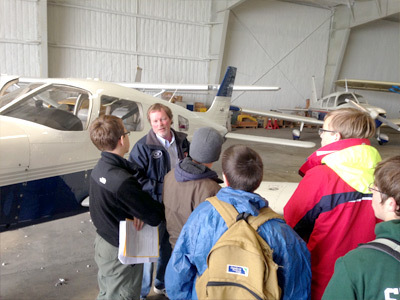 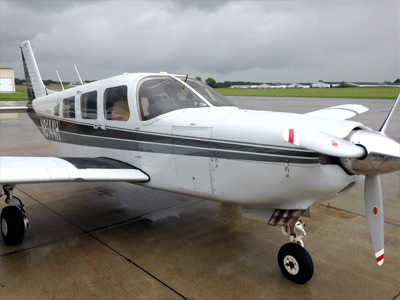 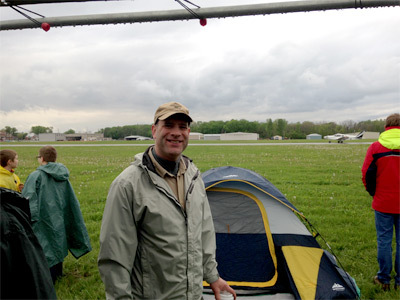 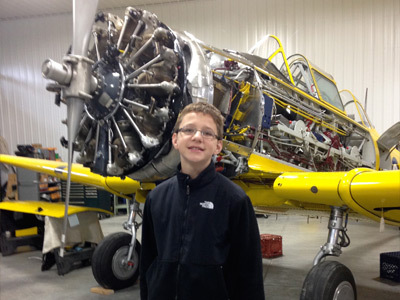 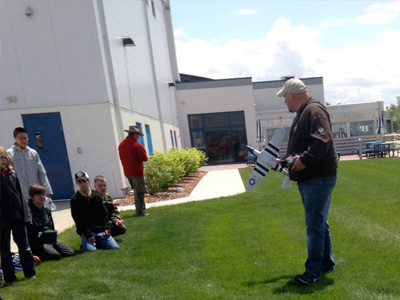 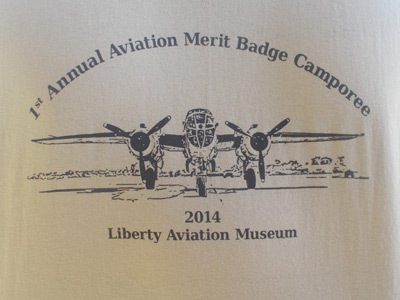 The weekend of May 16th through the 18th, our first annual Aviation Merit Badge Camporee was held, at Liberty Aviation Museum and the Erie-Ottawa International Airport, in Port Clinton Ohio. 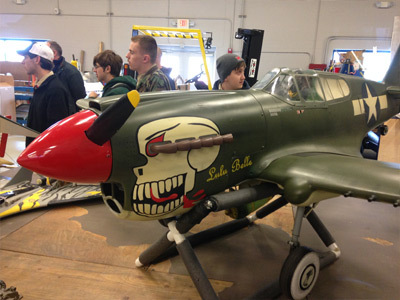 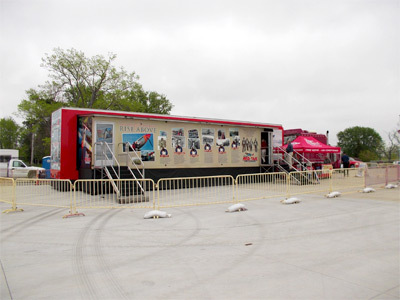 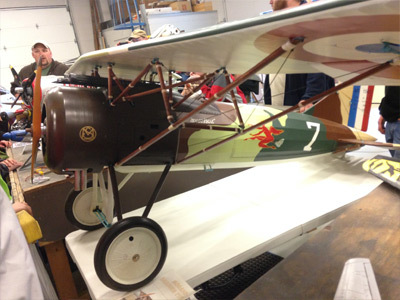 The regular museum exhibits and volunteers were joined by other local aviation experts, as well as the CAF Red Tail Squadron's travelling "Rise Above" exhibit. 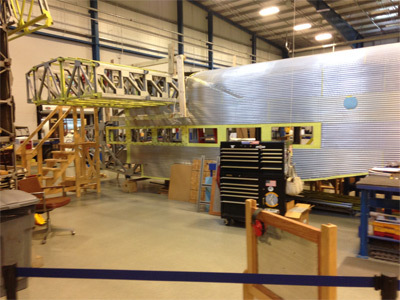 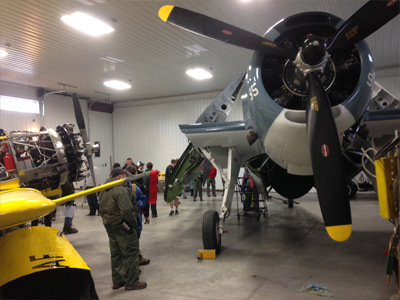 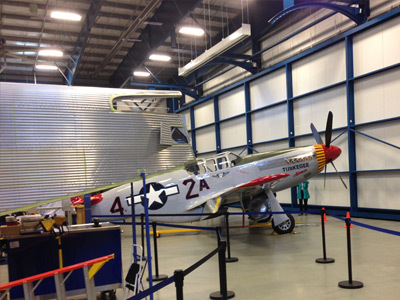 The Ford Tri-Motor Restoration project shared hangar space with the Red Tail Squdron's visiting P-51 Mustang. 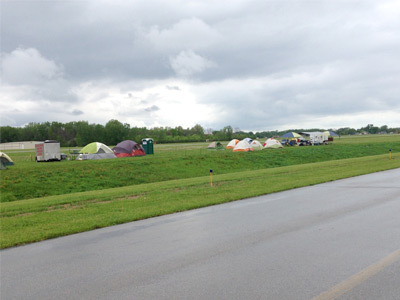 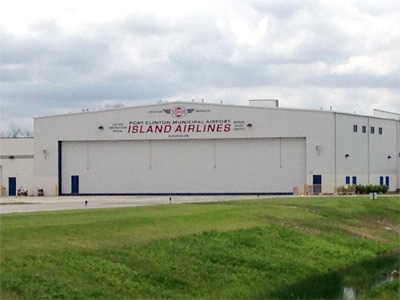 The Camp Site was near the North-South runway. 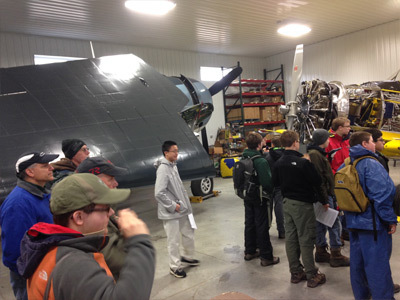 Some classes were held indoors, at the museum. 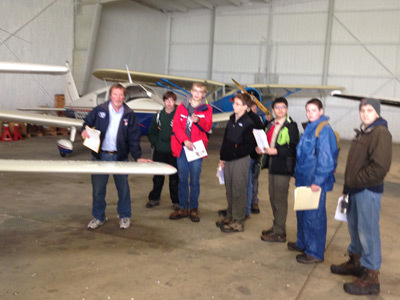 A special thanks to the pilots that came to volunteer their time and planes for our Camporee. 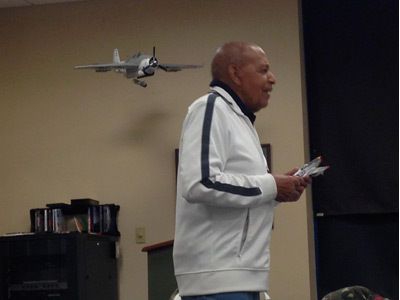 Brian explaining and demonstrating his RC planes. 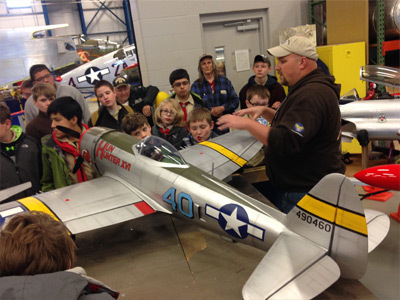 Thanks Brian and his fellow RC club members. 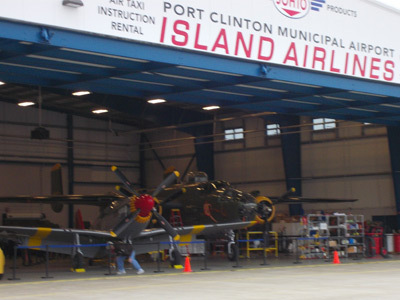 Charlie Cartledge's (Lake Erie Warbirds) Hanger, featuring his TBM Avenger and Harvad IV trainer. 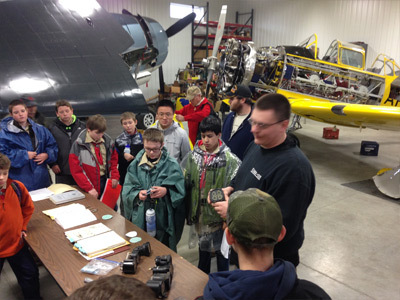 Thanks to Charlie and Tyler for their "Show and Tell" about aircraft and instrumentation. 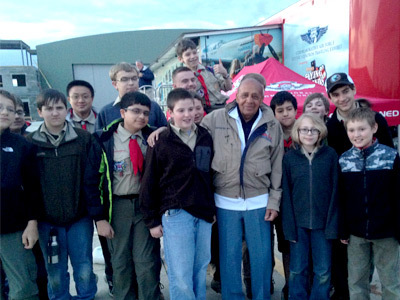 We would like to thank Lt. Col. Brown, a Tuskegee Airman, for talking to us Friday night and posing for pictures, too. 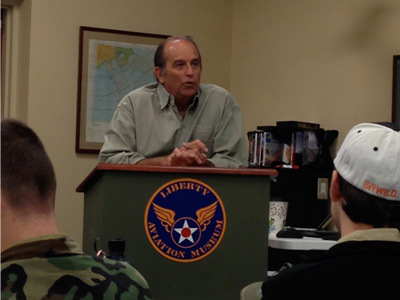 Thank you Tom, (our airport FAA representive) You gave a great presentation. 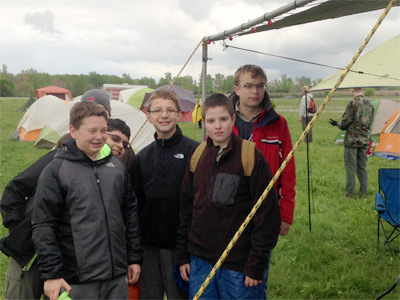 We would like to thank the RC Warbirds, The Erie-Ottawa Regional Airport and their Staff, the Museum Staff and Volunteers, for all their help in putting on this Boy Scout Camporee. 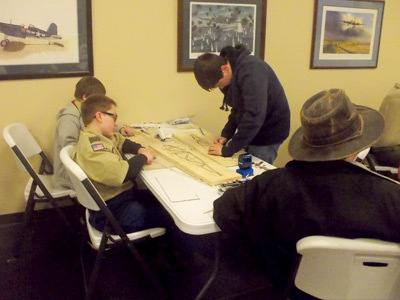 Visit the Scout Camporee Registration page if you are intersted in recieving information for future Scout Camporee events.